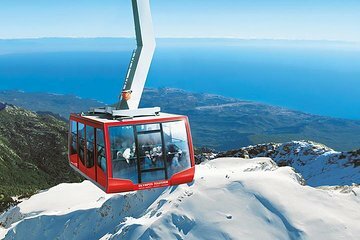 Save time and skip the hassles with these pre-booked, round-trip tickets on a scenic cable car ride. Journey from sea level and get a bird’s eye view over sky-high mountaintops in stunning Beydaglari National Park—a photography lover’s paradise. Tickets include optional hotel transfers in a comfortable, climate-controlled private shuttle service, plus plenty of free time at the peak.